This summer's European Championship is expected to be the biggest ever when it comes to global sponsorship activity. We take a look at the activity that is being rolled out ahead of the opening game on 10 June. 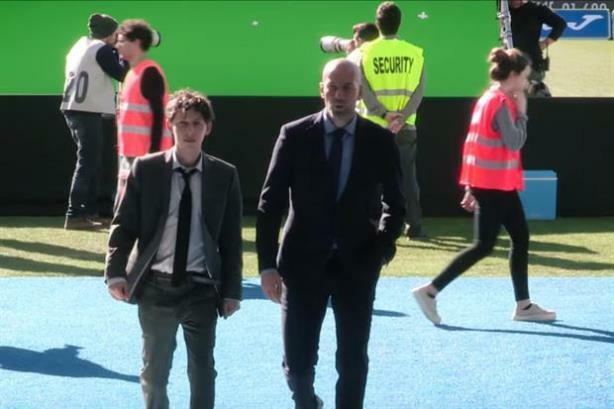 Orange's Euro 2016 campaign features Zinedine Zidane. Three of the 10 official sponsors are from emerging markets and that includes Chinese electronics company Hisense, which is little known in Europe. Other sponsors include Adidas, Carlsberg, Continental Tyres, Coca-Cola, Hyundai/Kia, McDonald’s, Orange, Socar and Turkish Airlines. Sponsors usually wait until May to roll out their activity and many leave their powder dry until after the Champions League final. This year’s tournament is likely to have much more resonance across the UK this year because all the home nations except Scotland have qualified for the tournament. England footballers Danny Welbeck, Harry Kane and Jamie Vardy lead an armada of fans across the channel in Mars' £5m campaign, created by Abbott Mead Vickers BBDO. Mars has been an official sponsor of The Football Association, the organisation which administers English football and the national football team, since 2009. Coca-Cola is giving away thousands of Euro 2016 tickets as it seeks to put fans at the centre of its sponsorship of the tournament. The soft drinks giant, a long-standing sponsor of football, has 504 prizes of four tickets on offer for the tournament in France, which can be won via on-pack promotions. Coca-Cola’s ticket giveaway will be supported by marketing activity including a television campaign. The visual imagery in the marketing push will be in line with Coke’s Taste the Feeling campaign. The advertising campaign is yet to emerge, but a lot is riding on it. After some disappointing results, Coca-Cola said it has "solid marketing plans in place" for Euro 2016. Orange claims it is taking a different approach from the usual big brand strategy of focusing on "star players" by instead placing the fans at the centre of activity. The 'Orange Sponsors You' campaign will feature retired footballing legend Zinédine Zidane, who will help select the ‘world’s ultimate fans’. However, fellow Euro 2016 sponsor Coca-Cola stole a march on Orange by revealing before Orange that it would put fans at the centre of its campaign. Orange executive vice president for brand and communications Béatrice Mandine said: "For us, Orange Sponsors You is an opportunity to go beyond badging and connect people with their passions." Zidane will send "scouts" to scour the globe to help Orange to find the world’s biggest fans for the campaign. Orange will bring 20 winners to watch the final at the Stade de France. The beer brand's global TV campaign for Euro 2016 depicted former Chelsea FC star Marcel Desailly as a French revolutionary. Carlsberg is the official beer sponsor for the tournament and the spot plays on the brand’s familiar advertising theme "If Carlsberg did." Separately, former footballer and Sky Sports pundit Chris Kamara dressed up as an older gentleman for a Carlsberg campaign that rewarded unsuspecting Tube travellers in London with tickets to Euro 2016. Kamara gave tickets to members of the public who offered up their seat to the ‘old man’ as part of a ‘If Carlsberg did substitutions’ campaign. The film launched online and paved the way for further activity from Carlsberg between now and mid-June. Following this, the brand put its own spin on the much-maligned 'charity mugger', sending its own team of 'superchuggers' to the outside of a busy London train station. Anyone feeling generous enough to stop and agree to give up 90 minutes for their nation were rewarded with a pair of tickets to watch England at the tournament. In November, Carlsberg promised its sponsorship activity will "do it better for the fans". The Euro campaign is being built around Carlsberg’s well known ‘probably the best’ tagline and aims to create "the best prize ever for a football tournament". Its main activity will be fronted by Carlsberg’s global brand ambassador and former star keeper Peter Schmeichel. He is taking part in a series of events and ‘supporter-led’ activities, with fans being given the chance to meet the great Dane himself. The bookmaker is giving away a guaranteed £1m at the final of Euro 2016 to people who can predict the first goal scorer and the minute the player will score it. It is the first ad for BetVictor by Mr President since picking up the Euro 2016 brief earlier this year. Mr President collaborated with animator and YouTuber, Richard Swarbrick, and the spot is voiced by veteran sport commentator Barry Davies. The ad finishes with the endline: "It doesn’t matter how it goes in, just when and by who". The German airline, gently ribs English football fans in its TV ad, created by Kolle Rebbe. Two English football fans are told their flight is cancelled and must travel on Lufthansa, leading them to imagine a hellish journey filled with sauerkraut, oompah bands and TV replays of Germany’s greatest sporting victories. Lufthansa is sponsoring the German Football Association ahead of Euro 2016. Stuart Pearce, the former England defender who missed a penalty in the 1990 World Cup semi-final, makes fun of himself in the bookmaker's ad promoting its headline offer for Euro 2016. The ad, created by Liverpool based agency Zut, says Betfred will refund all bets on England to win the tournament if the team is knocked out on a penalty shootout. Given that England has been knocked out of major tournament three times since the 1990 defeat to West Germany.